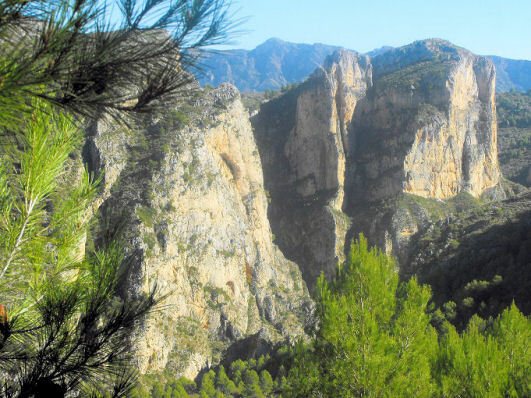 Costa Blanca Mountains – thank you Erik, for your valuable feedback. We welcome all user feedback – and in particular for our new downloadable maps for Garmin GPS. “Over the last month my walking customers have been testing the Discovery Walking Guides sheet map (Costa Blanca Mountains Tour & Trail Map) and downloadable basemaps on the eTrek Garmin 20 GPS for the treks and walking holidays we organise in the Costa Blanca Mountains. 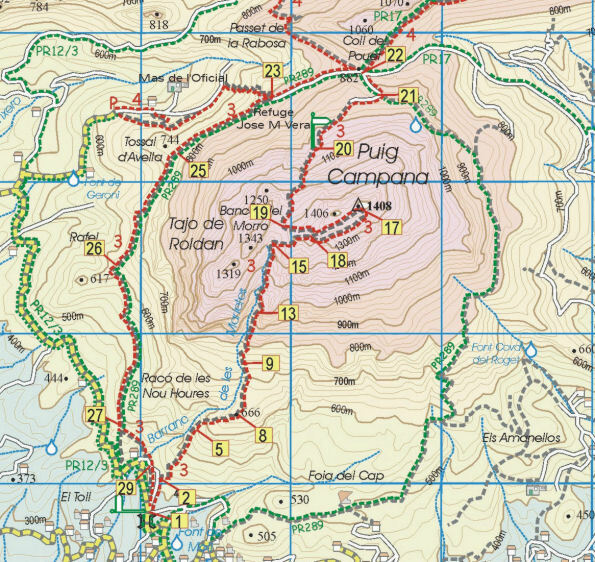 The sheet maps are useful, although the 1:40,000 scale in the Spanish countryside is at the limit for precise navigating, the roads on the map translate as 55 metres wide on the ground – easily enough to get misplaced for a while. Some of what appear as roads are overgrown dirt tracks that are now footpaths, you can still get through but it can be a bit confusing so if you want to go off the marked routes you will need to be patient. The marking of existing official routes and recommended routes is very good, there are some minor omissions and in one case replicating an error found on the local 1:20,000 topo. Not perfect but a very good approximation and an improvement on the local maps. The problem here is still the abysmal way marking of routes on the ground. The area covered is quite extensive, although some of my routes fall outside the eastern margin of the coverage. The basemaps for the Garmin GPS are very good, despite an initial problem with the download (for some reason Windows 7 stripped off the filetype which you had to add manually) they are now installed on all my Garmins. The image is very clear, much better than my own 1:25,000 basemaps that blur on zooming in. The maps load relatively quickly on start-up and as you are walking the change from one tile to another is very smooth, in fact it is barely perceptible. I used your your map in my Montana today and was impressed, I loaded it directly to the GPS memory so it could overlay my Topo Spain. This worked very well for me so I could switch maps in seconds and compare. Must say I’m impressed, not being a fan of 1.40,000. Walk! 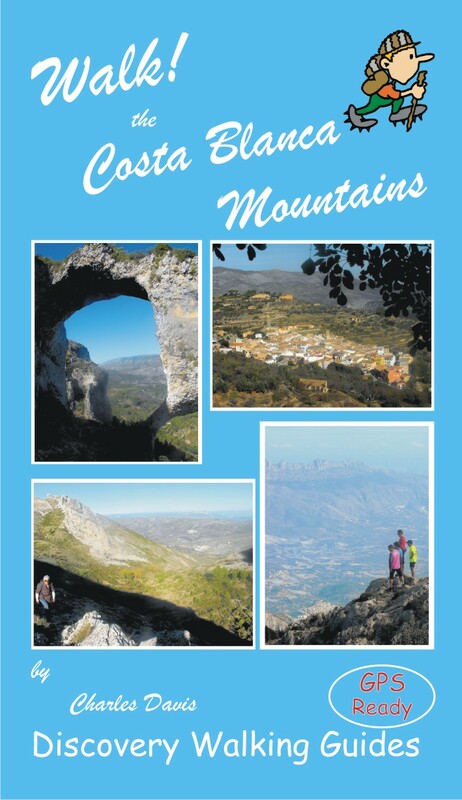 The Alpujarras is now also available in pdf format. This beautiful region of southern Spain offers high peaks, long ridges, clear mountain streams, woodland, amazing views and picturesque white villages. ‘Walk! The Alpujarras’ takes you through 34 detailed routes with the expert guidance of author/researcher Charles Davis. 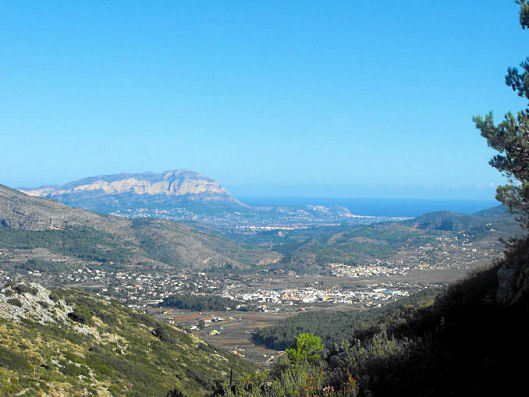 Costa Blanca Mountains – how would you like a free walk? 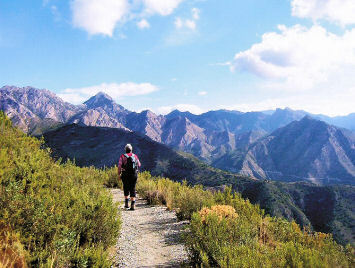 Inland of the famous holiday coast of Spain’s Costa Blanca lies an unspoilt walker’s paradise. 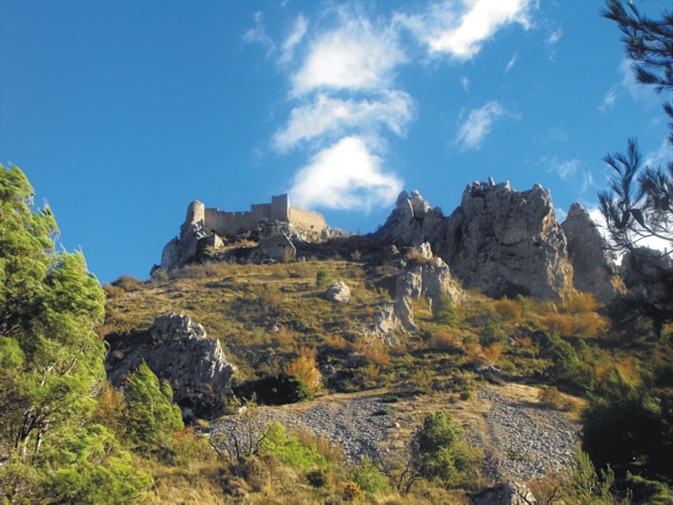 Walk 7 ‘Castell de Confrides’ lies not far from Benidorm – here’s the objective, the remains of a stronghold hundreds of years old from which there are amazing views.